SUNNYVALE, CA--(Marketwired - Nov 13, 2014) - AMD (NYSE: AMD) leadership in heterogeneous high performance computing (HPC) is delivering more than 3 petaFLOPS of AMD FirePro™ S9150 server GPU performance for the GSI Helmholtzzentrum für Schwerionenforschung GmbH in support of physics research related to heavy ion studies. Each of the 160 ASUS ESC4000 G2S nodes1 of the new L-CSC cluster include four AMD FirePro S9150 server GPUs, for a total GPU peak of 3.25 petaFLOPS single precision and 1.62 petaFLOPS double precision performance. 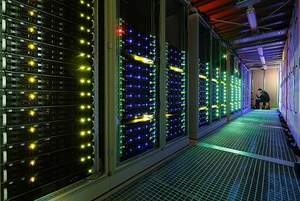 The cluster is enabling Lattice Quantum Chromo Dynamics (Lattice QCD) computational research using one of the fastest OpenCL™ implementations for research applications in the world. Lattice QCD calculations are applicable to a range of studies in high energy and heavy ion physics. "AMD is proud to collaborate with ASUS, the Frankfurt Institute for Advanced Studies, (FIAS) and GSI to support such important physics and computer science research," said David Cummings, senior director and general manager, professional graphics, AMD. "This installation reaffirms AMD's leading role in HPC with the implementation of the AMD FirePro S9150 server GPUs in this three petaFLOPS supercomputer cluster. AMD and ASUS are enabling OpenCL™ applications for critical science research usage for this cluster. We're committed to building our HPC leadership position in the industry as a foremost provider of computing applications, tools and technologies." "We had excellent cooperation with ASUS and AMD to make this project happen in such a short timeframe," said Professor Doctor Volker Lindenstruth, professor at Goethe University of Frankfurt and chairman of Frankfurt Institute for Advanced Studies. "The ASUS ESC4000 G2S servers and the AMD FirePro S9150 GPUs are an extremely powerful basis for the L-CSC cluster and they provide the compute capabilities we need for our research. The large 16GB of memory of the AMD FirePro S9150 server GPUs allows us to run most LQCD computations on one GPU without inter-GPU and inter-node communication resulting in very efficient LQCD application operation. We have chosen a multi-GPU approach with four GPU boards per server to enable an extremely cost-efficient and energy-efficient configuration." "ASUS is passionate about the HPC field, in the same way that AMD is dedicated to delivering extreme-performance GPU solutions. Together, ASUS and AMD have reached a new level with the GSI project, revealing the true power of ASUS ESC4000 G2S GPU servers and AMD FirePro S9150 GPUs," said Tom Lin, ASUS General Manager. "We're proud to offer our customers solutions that deliver unparalleled performance and utmost energy efficiency. There is no doubt that our joint GSI project delivers top-tier performance for critical HPC applications." GSI (Gesellschaft für Schwerionenforschung), located in Darmstadt, Germany, is a research facility for heavy ion research including cancer therapy. 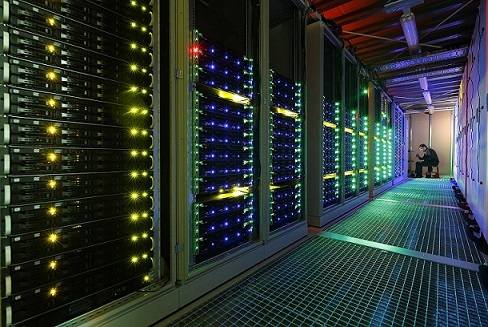 The compute cluster was designed and built in conjunction with FIAS, a research institute for physics, neuro science, life science, and computer science. Within the next few years, GSI will build FAIR (Facility for Anti-Proton and Heavy-Ion Research), a new particle accelerator and detector facility. Researchers from around the world use this facility for experiments that help them make fascinating research discoveries. High energy physics experiments, such as at GSI, need huge compute farms for simulations. The L-CSC cluster is aimed at QCD computations, which require extremely high memory bandwidth. The implementation of the Lattice QCD algorithm was developed at FIAS using an OpenCL™ based implementation for portability and flexibility. AMD is exhibiting with AMD FirePro S9150 server GPUs and AMD server technologies at SC '14 in New Orleans Ernest Memorial Convention Center booth #839 from November 17 to 20. AMD (NYSE: AMD) is a semiconductor design innovator leading the next era of vivid digital experiences with its groundbreaking AMD Accelerated Processing Units (APUs) that power a wide range of computing devices. AMD's server computing products are focused on driving industry-leading cloud computing and virtualization environments. AMD's superior graphics technologies are found in a variety of solutions ranging from game consoles, PCs to supercomputers. For more information, visit www.amd.com. AMD, the AMD Arrow logo and FirePro are trademarks of Advanced Micro Devices, Inc. Other names are for informational purposes only and may be trademarks of their respective owners. OpenCL and the OpenCL logo are trademarks of Apple Inc. used by permission by Khronos.